We concluded another terrific season on April 14! Merci beaucoup to our valued clients, many of whom have become friends. To all our island and U.S. team members, who ensured hundreds of dream vacations and are now exhaling: Great job! There’d be no St. Barth Properties without you all! April also means the start of Value Season, which runs from April 15 to December 14 and is overall a quieter time on the island. In looking at our June bookings, we see the usual spike in our romantic villa collection. St. Barth is idyllic for honeymoons. If you’ve already said, “I do,” why not treat yourself to a second one? P.S. April is “tax month,” and maybe that means a refund for you. What better way to spend it than on a memory-laden villa vacation? We bet you’d love Villa Brume de Mer. Take a look. We’ll sweeten the deal and pay the tax on any new booking for a stay of 7 nights or longer between June 1 and October 31, 2017. Your booking must be made by May 15, 2017. We are pleased to welcome Villas La Vigie and La Clé des Vents to our portfolio. La Vigie – Traditional and charming, this 4 bedroom St. Jean villa is located just minutes from the Côte d’Azur-like village and its popular beach. The view is expansive and stunning. A spacious and comfortable living room is ideal for relaxing and TV viewing – there’s U.S. satellite service. The living room, adjacent dining area, and well-equipped kitchen are fully air-conditioned and open to the pool terrace. A portico provides a covered space for alfresco dining. Two of the bedrooms are on the main level; both have king 4-poster beds and en suite baths with tubs. The master opens to the side terrace. The other two bedrooms, also en suite, are on the second floor. One has a double 4-poster bed, and the other has twin sleigh beds. All bedrooms are air-conditioned and have screens so guests can enjoy the delightful breezes. Villa La Vigie is a perfect choice for families with children. 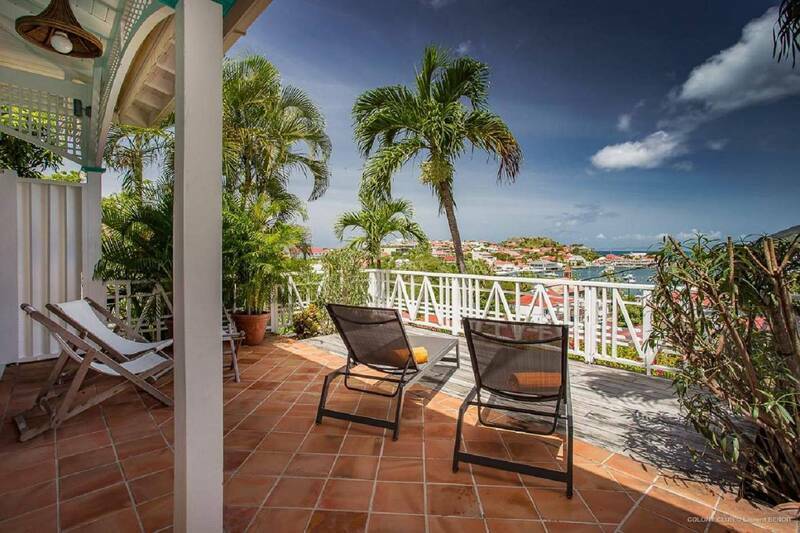 La Clé des Vents – Well located in Mont Jean, this 3 bedroom villa is elegant and stately, yet radiates an island-vacation ambience. It’s furnished in a comfortable feet-up-and-relax style, with artfully placed antiques. The entrance boasts a dramatic double staircase leading to a spacious living room looking over the pool and out to a panorama of Marigot Bay. Its sleek, chef-worthy kitchen opens to a covered dining terrace that encompasses the beautiful view. All three bedrooms have en suite baths with indoor and outdoor showers. The master, with its 4-poster king bed, has his-and-hers bathrooms. The second bedroom has a French king bed; it connects to the master externally via a loggia that meanders through a tropical garden. The third bedroom (French king) is above the garden in a separate bungalow with a private terrace. A large solar-heated pool – 9 feet at its deep end – is central to the property and lushly landscaped. A lower-level air-conditioned TV room includes an office area. This level has a gym and an adjacent full bath. The TV room with a sofa bed can accommodate an extra guest with prior approval and at an extra charge. 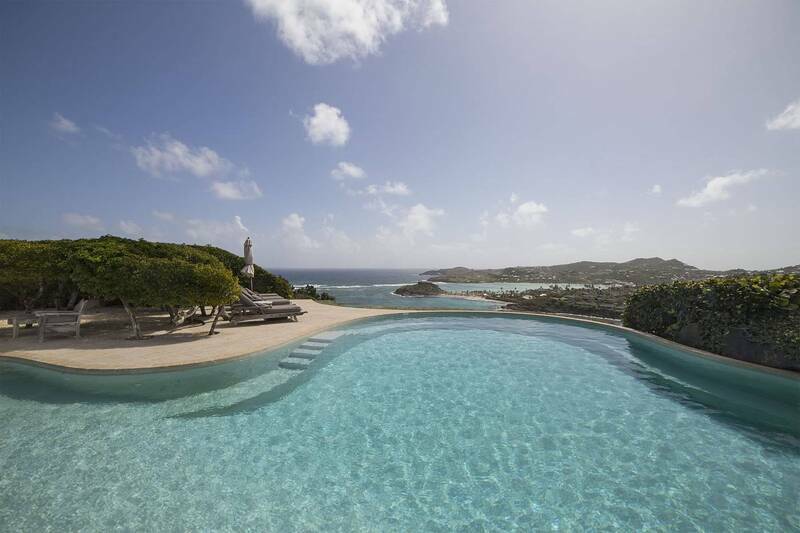 Or book a minimum 5-night stay at the stunning new 5 star Villa Marie Saint-Barth and take advantage of their Drive Happy offer: a complimentary car rental. Available March 26-August 20, 2017. New restaurants open each season, and it’s fun to find out which ones people like best. Company president Peg Walsh offers a rave review for Bo Káo. Here guests can dine in on Nikkei cuisine – a unique fusion of Japanese and Peruvian foods that is sweeping Europe. Its terrace setting in Gustavia’s Carré d’Or embodies the island’s casual sophistication. The cocktails – including, of course, Pisco Sours – are fabulous. Read all about Bo Káo in Peg’s Blog. We bid adieu to Villa and Hotel Specialist Kathy Schlitzer, who will retire at the end of this month. She has been with us since 2000, and we will miss her! Kathy is looking forward to more time with her grandchildren, painting, and travel, including many more trips to St. Barth. We are pleased to welcome Allegra Pawlowski to our U.S. team. 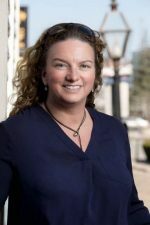 Allegra comes to us with over 15 years of villa rental experience and a passion for the island. She’s looking forward to planning some dream vacations. For more about Allegra, read Peg’s Blog. Soldes! The dates for the island’s annual sales have been set for 2017. Mark your calendar and come on down for bargains galore on the chicest fashions for the whole family. October 14 – November 24. 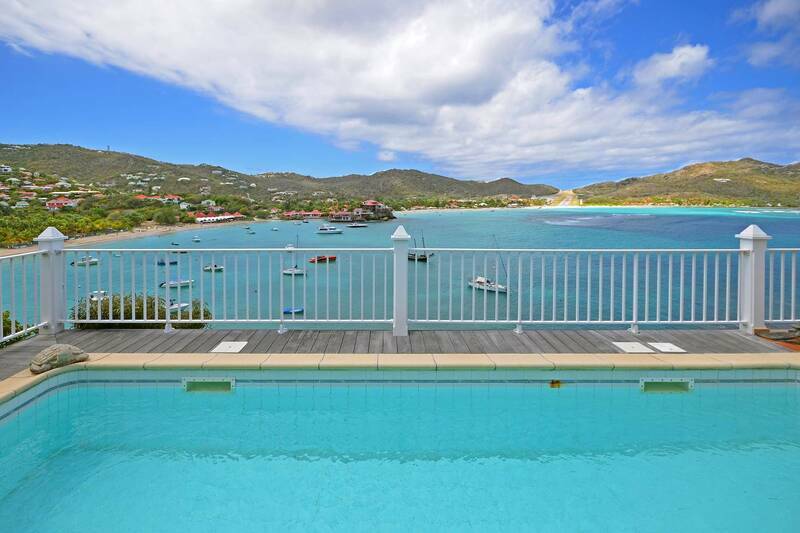 Perfectly situated above Gustavia Harbor, this 1 bedroom apartment offers a stunning view and Instagram-worthy sunsets. It features a spacious sunken living room that opens to a sunny private terrace. A kitchenette opens to a covered dining terrace, and the en suite bedroom is off the living area. Owners will enjoy the community pool and the ability to walk to Gustavia’s shops, restaurants, and Shell Beach. We would like to offer our heartfelt thanks for a dream-come-true vacation on St. Barth’s last week! It was my 60th BD celebration and my whole family was together at the beautiful Villa Brume de Mer, which we enjoyed thoroughly – very chic, contemporary with a spectacular view!! The sunset boat ride on an exquisite yacht, chef-prepared dinner, etc., all were delightful! The chartered flight was the right thing to do, as guided by you! We just can't wait to come back.